I first met Rodney Miller at the Half Century of Progress, a couple of shows ago. 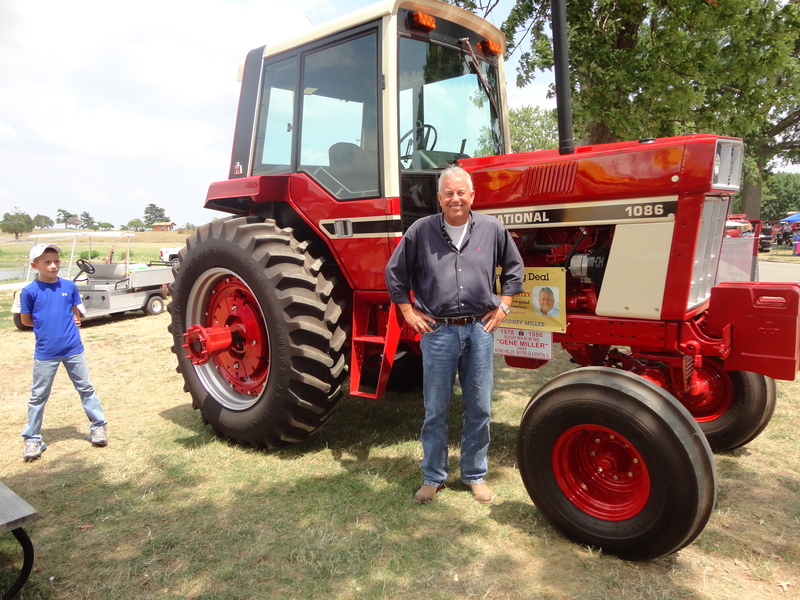 He was then the CEO of McCormick Tractor Co. and was proud as punch of the newly restored 1978 IH 1086 tractor that had recently been restored. This tractor is very important to Rodney because it belonged to his father, Gene Miller. Rodney was kind enough to share the story of growing up on a farm in Benton, Illinois and the important values his father instilled in him. At the Red Power Round Up, I ran into Rodney again and learned that he is collecting stories that celebrate life in rural America. His new show is called Small Town Big Deal and will air September 6th, 2012. The show will run at 9:30 Eastern and 8:30 Central time on Thursday nights, and will repeat late on Friday. This interests me because this is what rural living is all about, the people and places that make up the Prairie where we sow our seeds and harvest our crops. The rusty iron that lies out back all have a story along with the hunched over farmer that drove it and the farmwife that brought a meal to the field and sat by her husband/father/brother’s side. The men and women that make up the Midwest are heros in my book and it is an honor to see them profiled as such! On the front of the page is a subscribe site just type in your email and you will automatically be signed up.